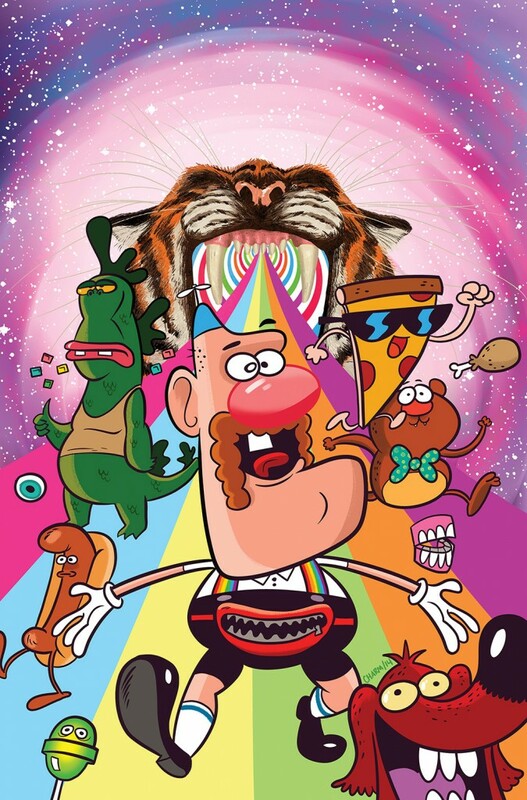 An Uncle Grandpa Graphic Novel is Coming This Spring | YAYOMG! GOOD MORNING! 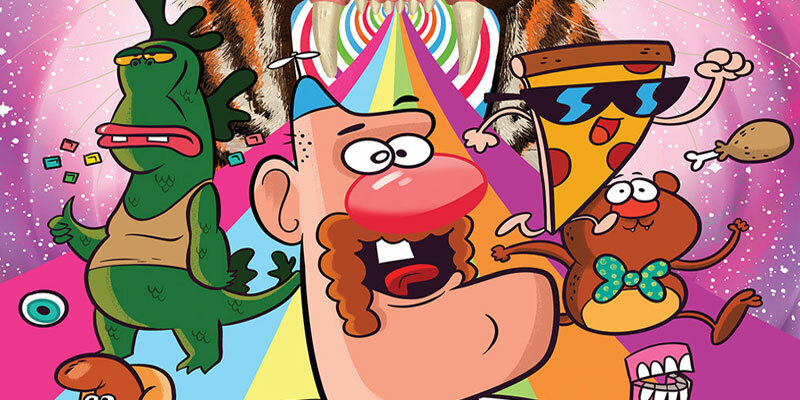 Uncle Grandpa is finally getting a graphic novel, and it’s all about casserole! So, what’s all this junk about casserole? It’s only the entire plot! Uncle Grandpa ends up accidentally exploding his casserole and so him, Uncle Gus, Pizza Steve, Giant Realistic Flying Tiger (and of course, Belly Bag) must pile into the RV and travel back in time to make things right. The gang will travel to the Moon, the 90’s, Medieval Times, Ancient Egypt, and more in order to find the missing casserole ingredients. It better be the most delicious casserole ever made in order for them to go through all that trouble! The book will be stocked in your Belly Bag (and comic shop shelves) on March 16th, 2016, so make sure to mark your calendars so you don’t miss this epic adventure!